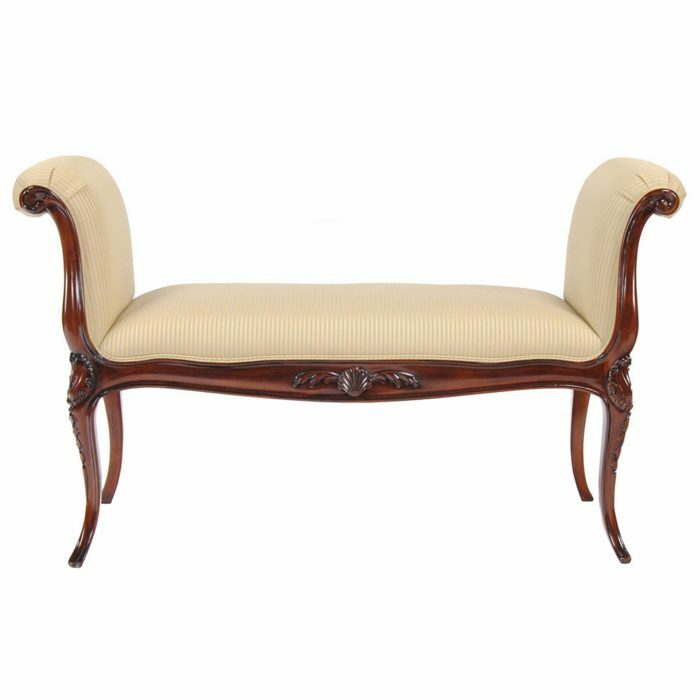 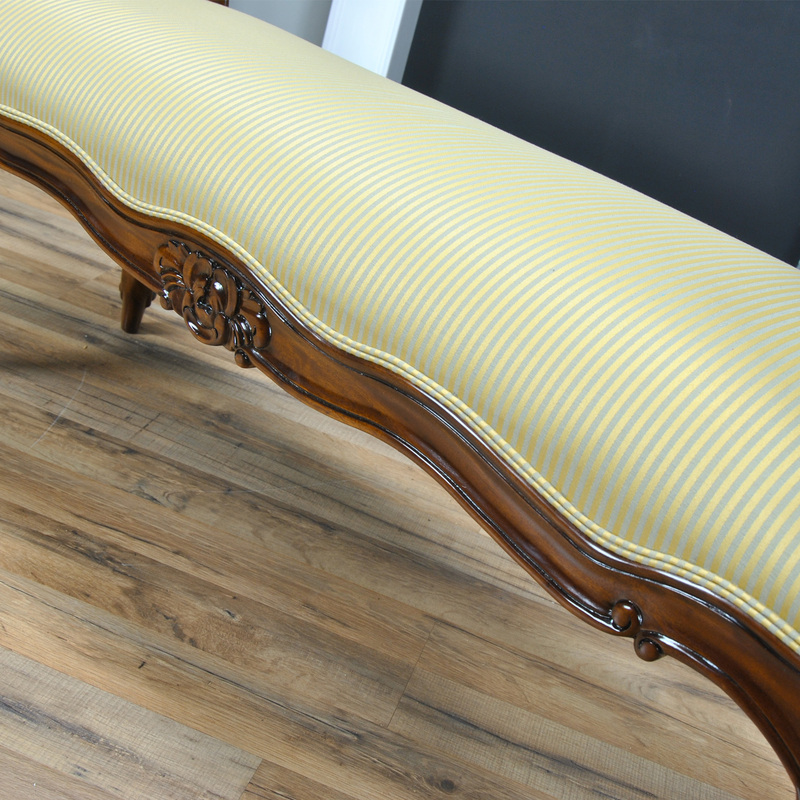 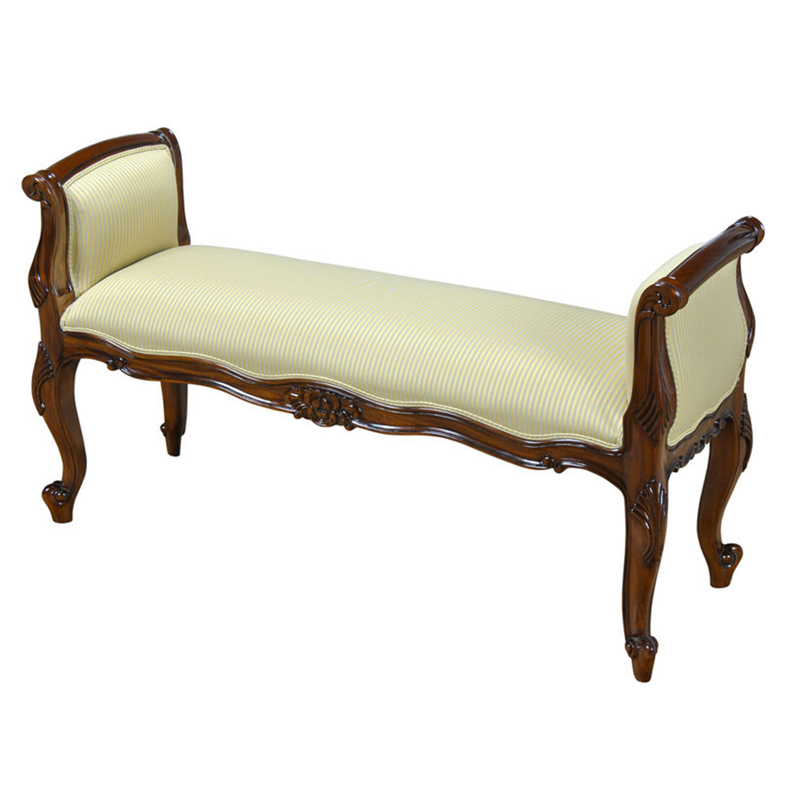 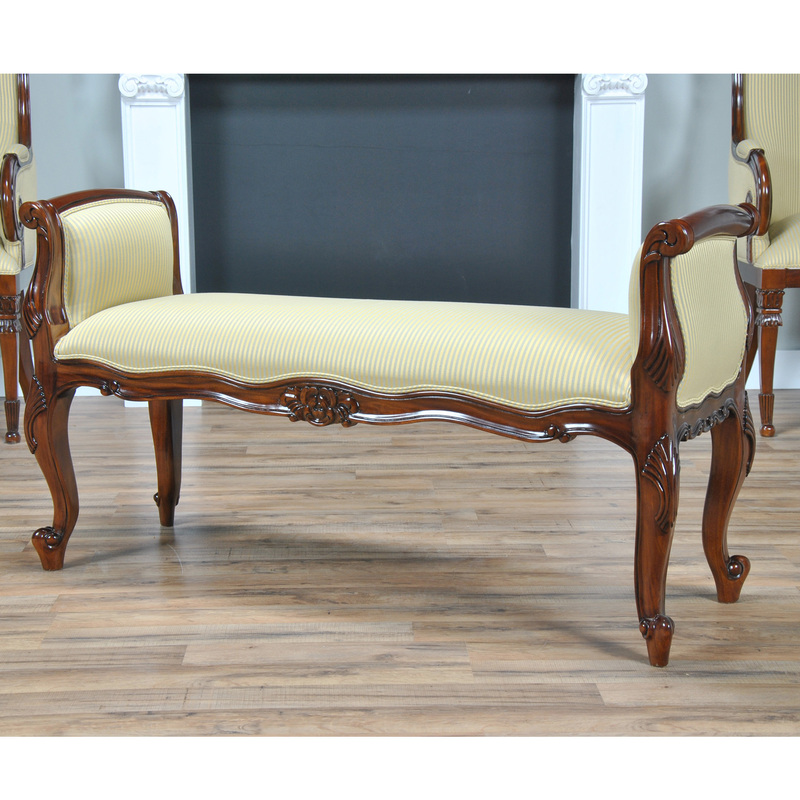 This is a beautiful Upholstered Window Bench from Niagara Furniture. 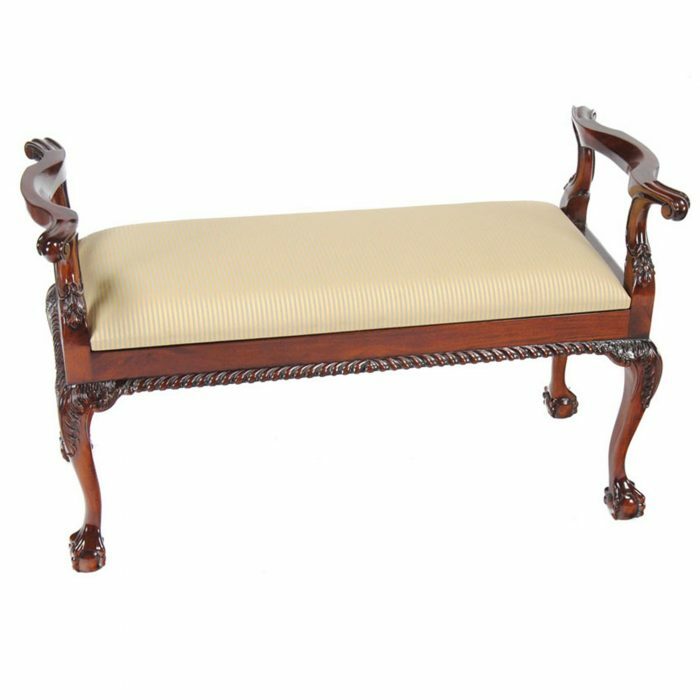 It is a crisply executed piece of luxury furniture with an overall design that makes it suitable for use anywhere in the home, whether it is featured beneath a window, in a hallway or at the foot of a bed. 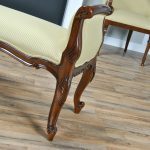 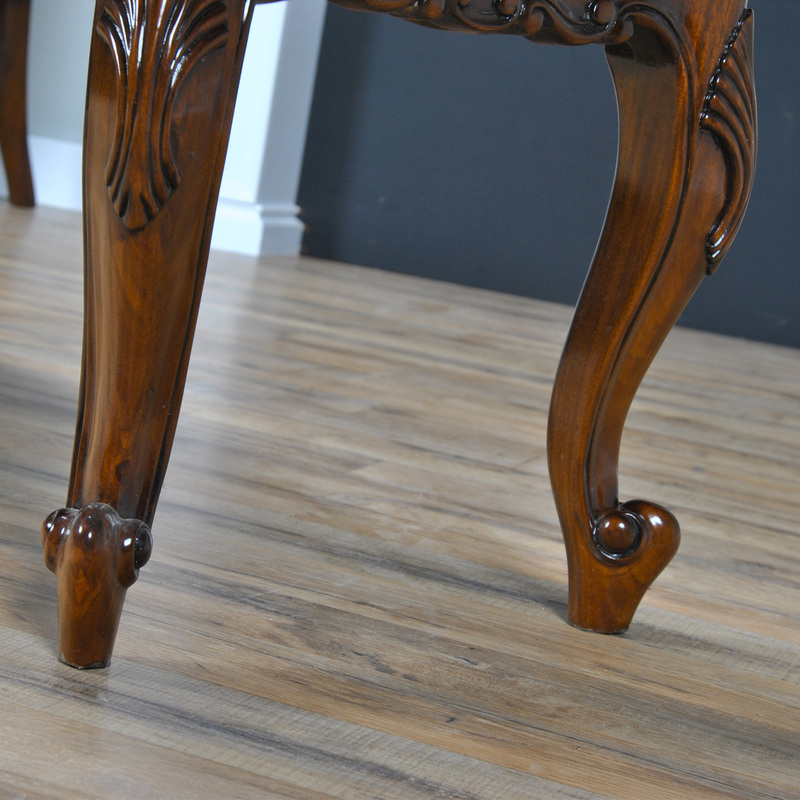 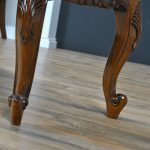 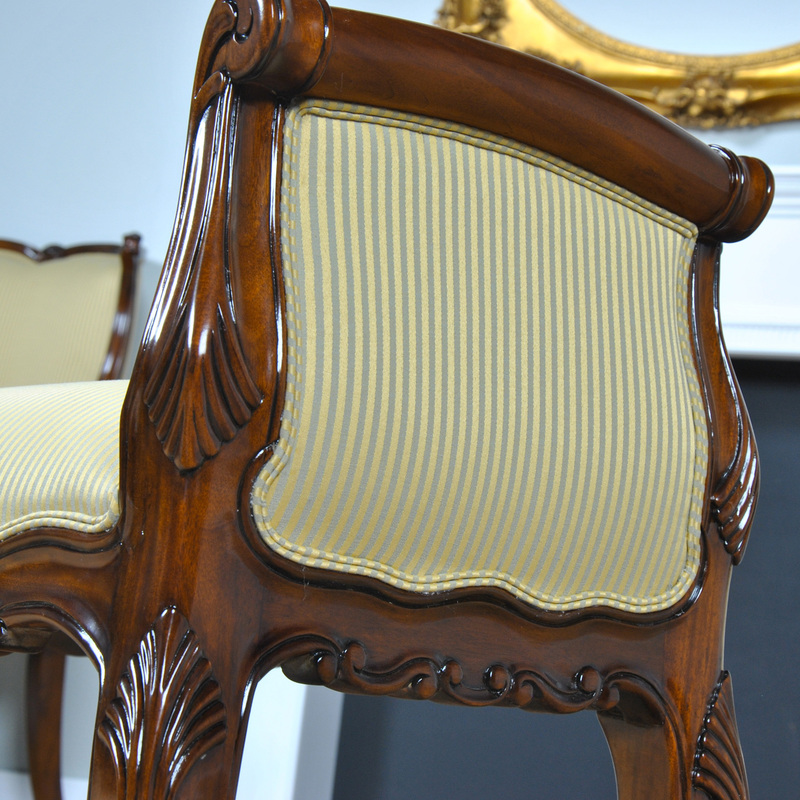 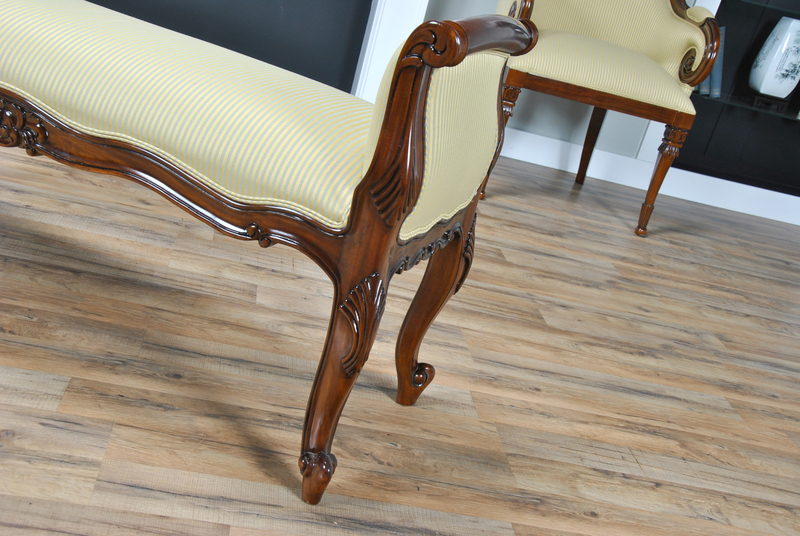 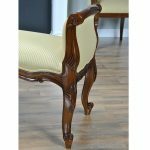 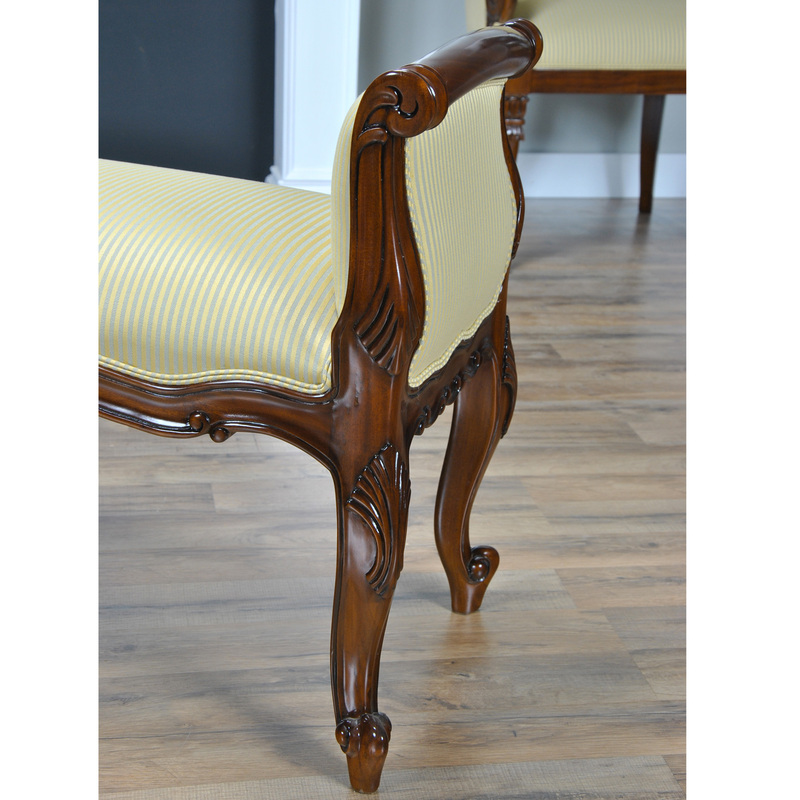 The arms are scroll carved and then flow in a single piece of wood from the arm rest to the toe to make it supper solid and ready for daily use. 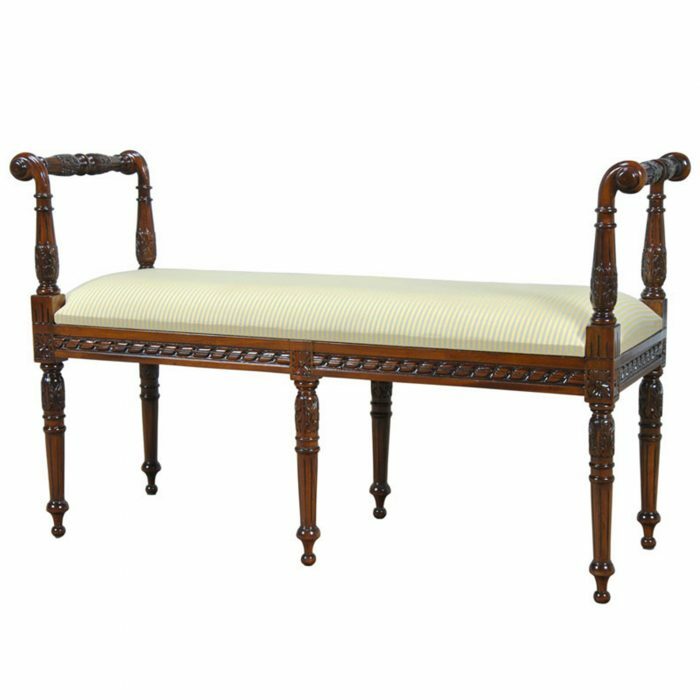 The apron of the Upholstered Window Bench is shaped with a floral design in the center. 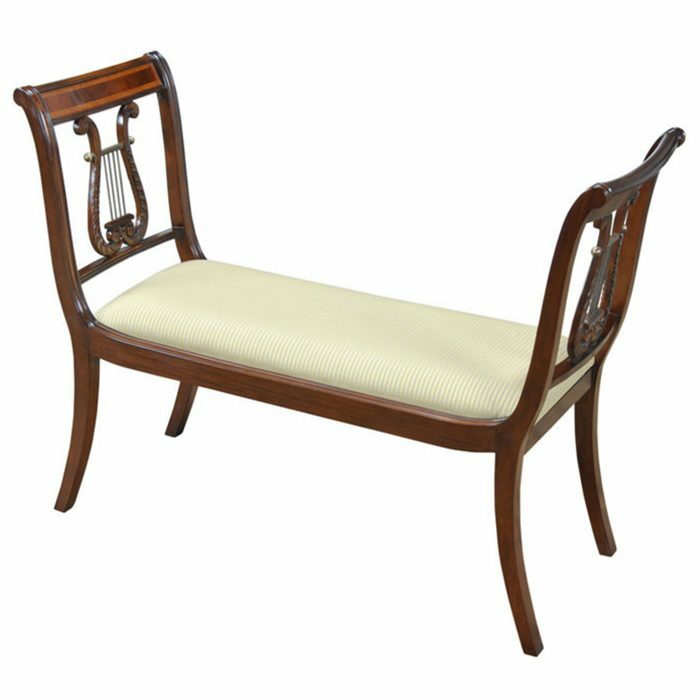 With high quality construction throughout and upholstered in a neutral fabric our Upholstered Window Bench is ready for immediate use in your home.